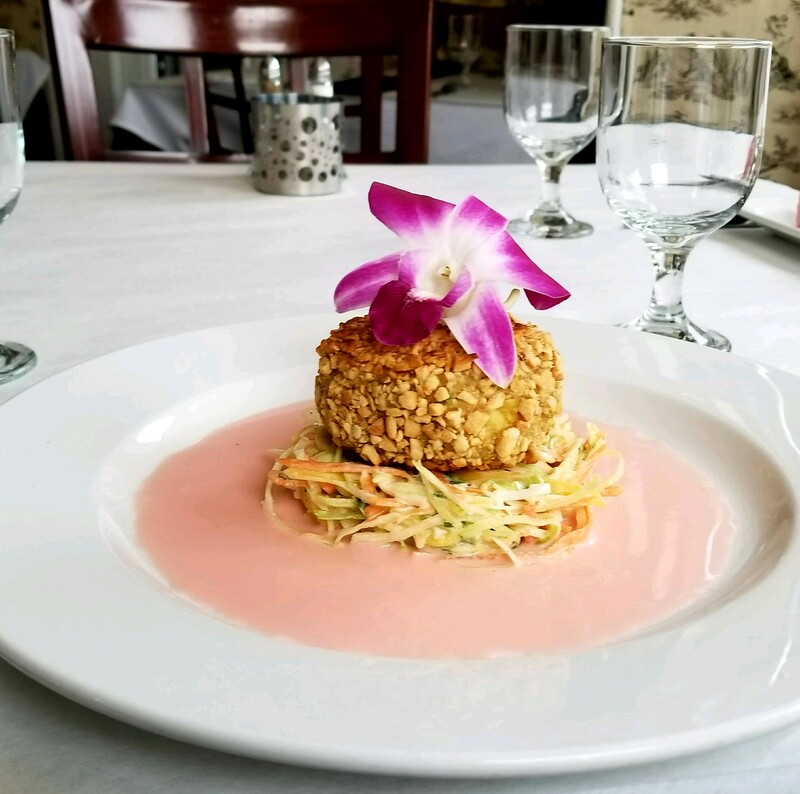 This week our talented team of chefs have created some wonderful additions to the menu to celebrate Valentines Day all week long. 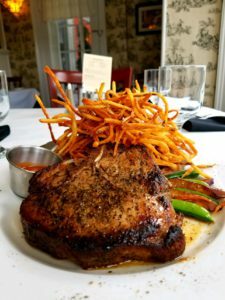 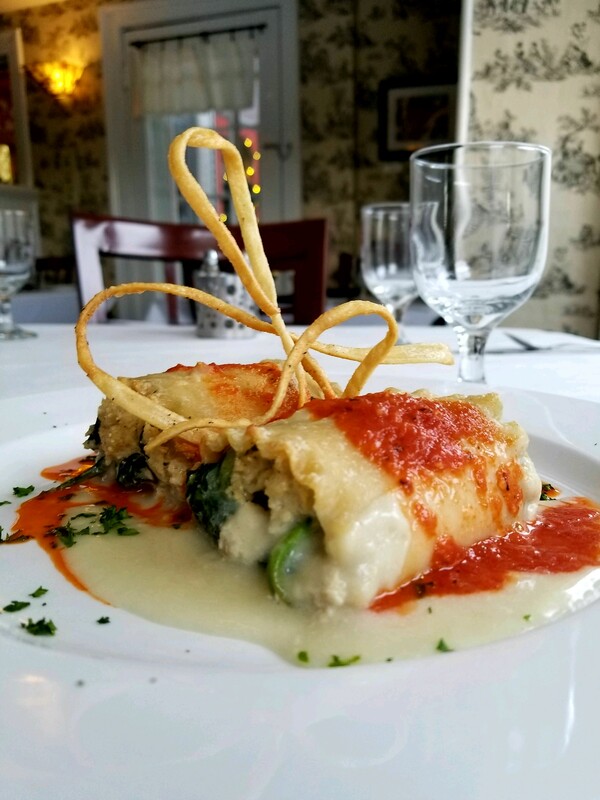 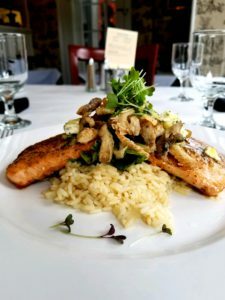 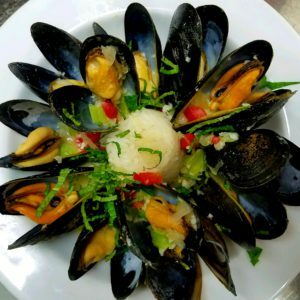 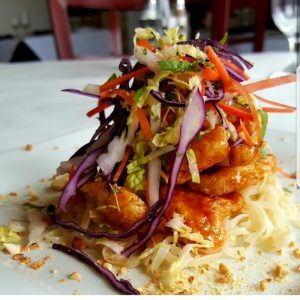 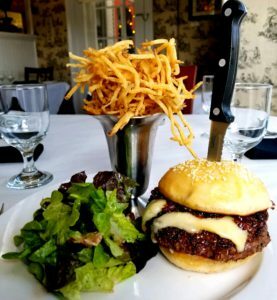 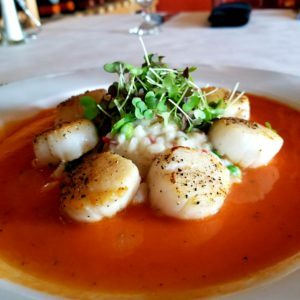 Chef Brian has been working in the kitchen recreating a few of his classic dishes and Chef Amy has prepared some delicious vegetarian options. Our Pastry Cook, Jessica has created a beautiful trio of desserts that is sure to be the perfect finish to a great meal. 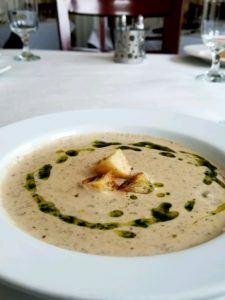 Roasted Forest Mushroom and Brie Bisque with truffle scented French bread croutons. 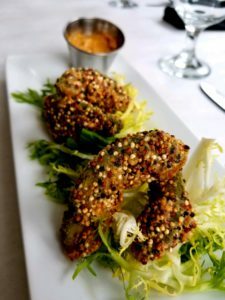 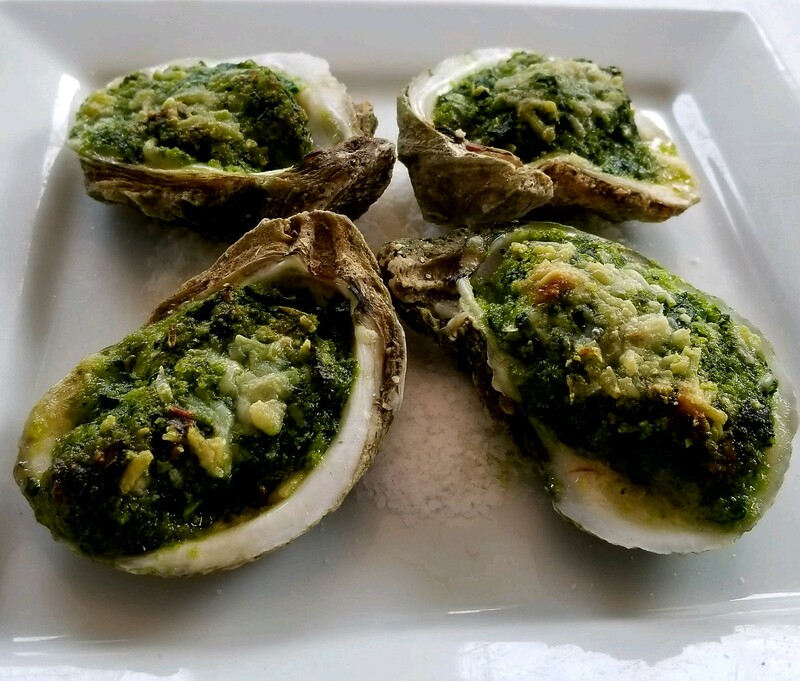 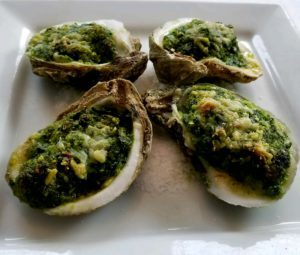 Texan Virginica oysters prepared Rockefeller style with fresh spinach, green onions, sweet cream butter, anise liqueur, and Parmesan bread crumbs. Tropical slaw, blood orange beurre blanc, and edible orchid. 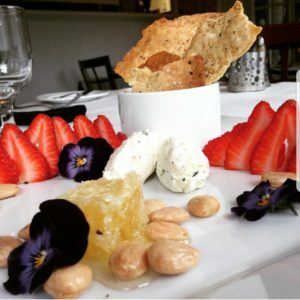 Sunflower seed “ricotta”, almond milk alfredo, roasted red pepper coulis. 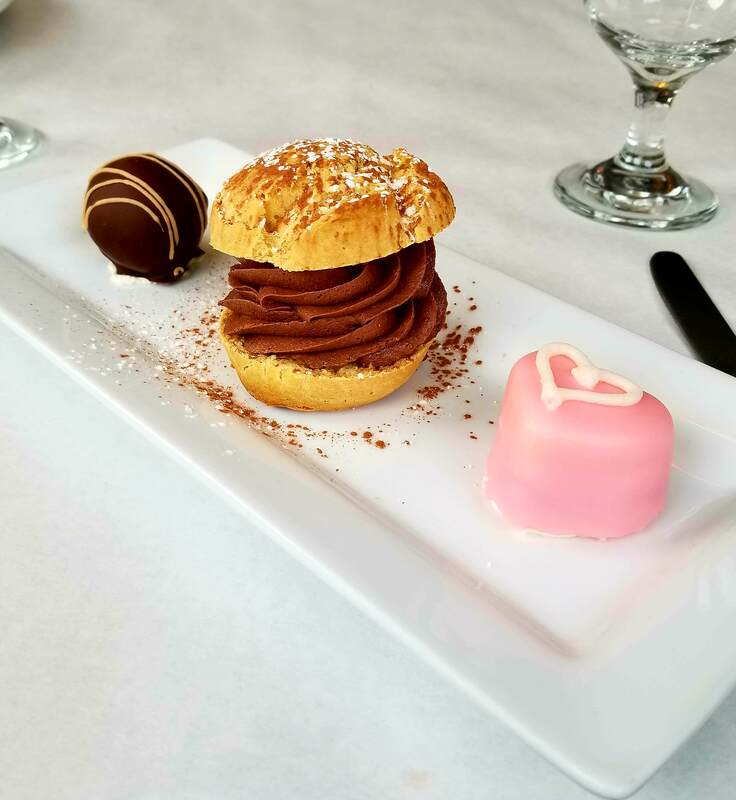 Grand Marnier truffle, petit dark chocolate mousse cream puff, raspberry petit four.